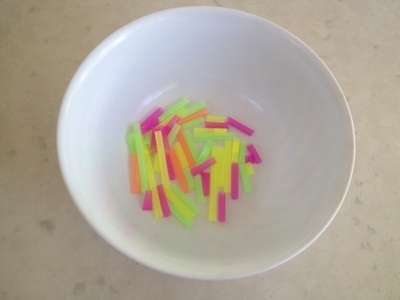 This is a quick and easy threading activity, perfect for little hands. 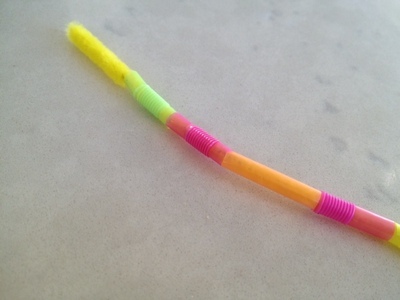 Toddlers can have fun simply threading pre-cut drinking straw pieces onto the pipe cleaners whilst preschoolers can will also enjoy cutting up the straws and making bracelets. 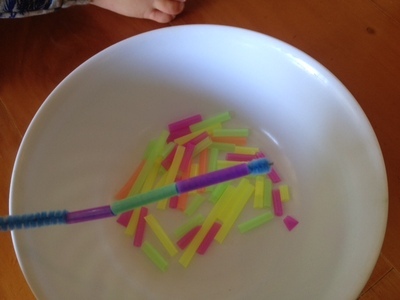 For toddlers, cut a few drinking straws into sections and put into a bowl. 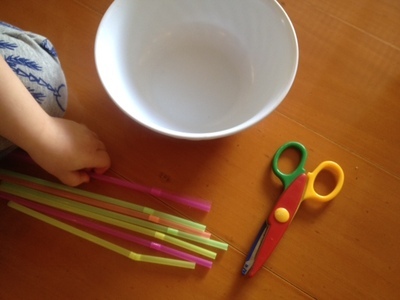 Preschoolers will enjoy cutting up the straws using safety scissors. 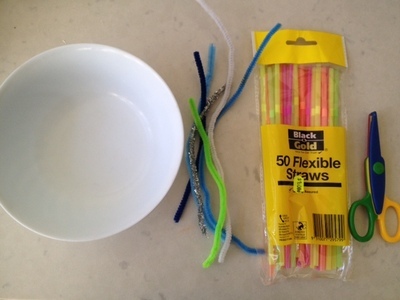 Set out the drinking straw 'beads' and pipe cleaners. 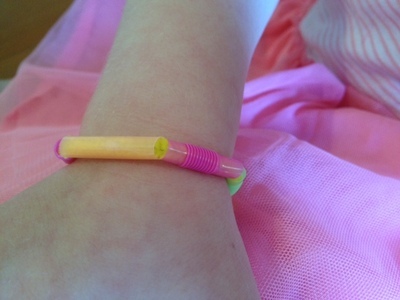 The children can thread the pieces onto the pipe cleaners. 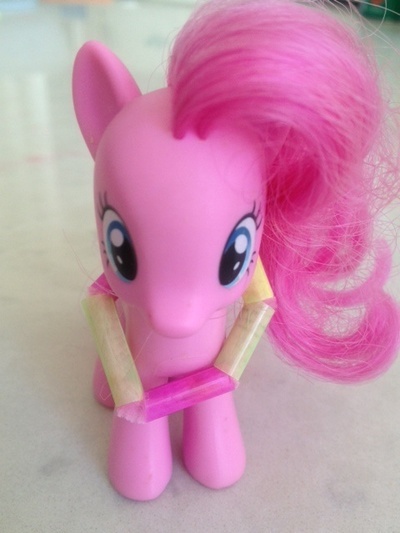 Twist the creation around a wrist to make a bracelet - or you could make a necklace for a toy.